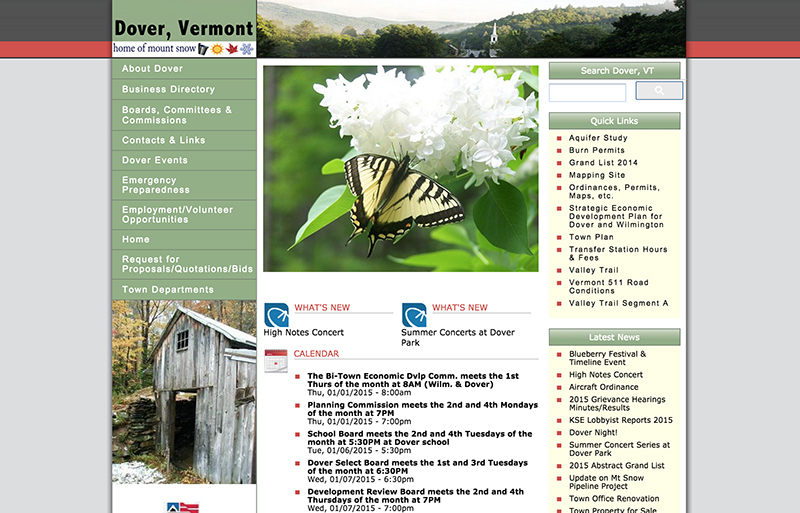 As a major tourism destination, the Town of Dover, Vermont required a dynamic web redesign to meet the needs of both local residents and area visitors. Our design ensured that area visitors would quickly find what they need, including dynamic events and news listings while local residents can go right to sections of interest through streamlined navigation and “quick links.” The entire site was implemented in a content management system to provide town administrators with full content control. The result was a site that was both attractive and functional. Visit Web Site.